WhatsApp CEO Jan Koum is breaking ties with his company's parent, Facebook, amid a privacy scandal that has dogged the social network for weeks. Koum confirmed his departure from WhatsApp Monday on his Facebook page . The Washington Post reported that Koum also plans to resign from Facebook's board of directors. Facebook wouldn't comment on that report. Facebook has been trying to defuse questions about whether it can be trusted with the reams of personal information it collects to sell ads and whether its social network does more harm than good. Koum didn't elaborate on his reasons for leaving, other to say it was time to "move on" so he could spend more time "collecting rare air-cooled Porsches, working on my cars and playing ultimate frisbee." But Koum also may have been embroiled in a rift with Facebook management over the parent company's voracious appetite for personal information and WhatsApp's dedication to user privacy, according to the Post report. WhatsApp uses encryption technology that makes messages indecipherable to everyone but the sender and recipient. WhatsApp also runs no ads. Facebook's enormous profits, meanwhile, are powered almost entirely by advertising targeted to its users' interests. Koum's defection could put CEO Mark Zuckerberg in an uncomfortable position Tuesday, when he takes the stage at a company conference. In attendance will be more than 5,000 app software developers, some of whom may be WhatsApp users. Zuckerberg is already expected to reiterate some of the apologies he's been offering in the wake of revelations that Facebook allowed Cambridge Analytica, a data mining firm tied to President Donald Trump's 2016 campaign, to obtain personal information from as many as 87 million of its users. In a reply to Koum's Facebook post, Zuckerberg told him he would miss working together. "I'm grateful for everything you've done to help connect the world, and for everything you've taught me, including about encryption and its ability to take power from centralized systems and put it back in people's hands," Zuckerberg wrote. Facebook bought WhatsApp for $19 billion in 2014, though without ever devising a clear strategy for how that service would make money. Both Koum, and WhatApp's other co-founder, Brian Acton, had expressed an aversion to allowing ads into their service, causing analysts to wonder if the acquisition would ever pay off for Facebook. Acton left WhatsApp late last year and joined in the growing backlash against Facebook, endorsing a campaign that encouraged users to delete their profiles from the social network. But few of Facebook's 2.2 billion users have departed so far, based on the audience and revenue growth the company reported last week. 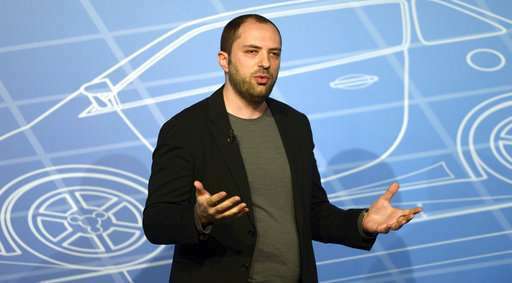 Koum also signaled years ago that he would take a stand against Facebook if the company's push to increase its profits demanded radical changes in the way WhatsApp operates. In a blog post written when Facebook announced the biggest acquisition in its history, Koum wrote that the deal wouldn't have happened if WhatsApp "had to compromise on the core principles that will always define our company, our vision and our product."